Years ago the Plainfield Town Council decided on the strategy of creating an industrial and commercial district at the east end of the town near the Indianapolis International Airport. The strategy has paid off. 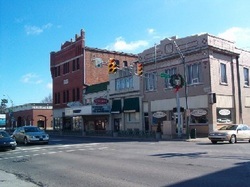 During the 1990s, the district established itself as one of the premier sites not only in the central Indiana area, but also in the entire Midwest. In the last ten years, this reputation has led to tremendous growth in Plainfield in commercial, industrial and residential development. The Chamber is proud to have played an important role in this development. We have helped lead a pro-business attitude that has brought cohesiveness to our business community and encouraged growth among members. Along with the town and Hendricks County Economic Development Partnership, we have helped both large and small businesses get a start in Plainfield. Copyright © 2014 Plainfield Chamber of Commerce.